I feel a little bit like a 2nd grader writing that title. But, being born in December I have always had a stressful relationship with my birthday. I’ve even played with the idea of moving it 6 months so that I get presents twice a year, but that idea was a non starter. I’ve spent my fair share of birthdays at Christmas parties, or taking final exams. I’ve gotten more than a few birthday/Christmas presents over the years. Combine these things with a childhood spent caring WAY too much what other people thought of me, and an obsession with being “cool” and it meant that most birthdays were a mix of both excitement…and disappointment. For example…one year, my mom used those trick candles on my cake that you blow out and they re-light. I’m sure she thought they’d be funny…but they caused me so much anxiety that in a moment of panic I ended up spitting on my cake just to get them out. I was like 9 or 10 but I still remember that feeling…it felt like everyone was laughing at me for being so dumb that I couldn’t put them out…but also being mortified because I had ruined the cake for everyone. While childhood birthdays were stressful, adult birthdays were a full on anxiety inducer. Suddenly I was far from home and no one was obligated to celebrate me on my special day. Should I tell people my birthday was coming? Would people plan something for me or should I? Did the people I called friends even love me enough to take time during finals week to acknowledge my birth? Would anyone buy me presents? There was this one year my sweet cousin drove to campus to spend my birthday with me and make me feel special….which it totally did…and it was good she came up, because she ended up having to take me to the hospital where I would spend the next week fighting off a double kidney infection. So yeah, the birthday and me have had a bit of a love hate relationship…and honestly while I don’t mind at all getting older…I had come to dread my birthdays a bit. And then one year things changed. On December 13th 2013 Ian and I sat in a courtroom and listened as Andrew’s dying mother surrendered her parental rights, making the way for us to adopt him. She was so sick at this point she couldn’t make it to the courthouse and she had to call in to make her statement. We listened over the speakerphone as she shared why she was making the choice, and why she had chosen us. Less than a month later she had left this earth to be with her Savior. I remember sitting in that courtroom…my mind swimming with thoughts of sadness and gratitude and an overwhelming sense that this woman was giving me not just my greatest birthday present ever…but the thing her heart treasured the most. It was beautifully awful and the most painfully joyous thing to experience. To be trusted this much…with something so precious…but to know that loss was the thing paving the way for me to receive this gift. So last year on my birthday we told Andrew he might be a big brother…in 4 days. We spent the day getting fingerprints and background checks and filling out paperwork. We walked around Target staring at bottles and car seats and diapers unable to make any sort of decision we were so overwhelmed. We went to dinner with friends…most of which had no idea what was happening…and had quite, secret conversations with those that did. Last year’s birthday was another jumble of emotions; excitement, joy, fear, uncertainty, grief. It was a day where I found myself deeply aware of the incredible calling placed on my life…to be mom, in the absence of mom. This year, my birthday feels different. I’m not worried about how we’re going to celebrate, or who will show up. I don’t care about the gifts or the cake. I have just found myself reflecting on this life, on this family I’ve been given, on the children I’ve been entrusted with. Before, I loved my birthday because of gifts and parties and things being all about me…but now I love my birthday because it’s this reminder that in an instant life can change. Grief can turn to joy, fear to peace, and loss to overwhelming blessing. This year has been hard, and it’s easy to remember that, to remember the hard. But looking towards my birthday this year has brought me so much joy as I remember two of the greatest gifts I have ever received. Hey friends, it’s been awhile. This year has been full of lots of changes and transitions, trials and pain, and for a while there I lost my voice. I was still walking around talking to people in my outside voice, but inside there was silence. Usually there’s this story telling voice inside of me that processes through every blog I write… if I’m gonna be honest, it’s not just blogs, it’s in there helping me process everything. For days, or weeks sometimes, I just kind of tell the story to you guys in my mind until I have clear what it is I want to write out. When the voice went silent, I don’t know if it’s that my mind was busy adjusting, processing, healing, surviving, and my voice got lost in the midst of all of that. Or, if when things got very real, and hard, and painful the voice ran away, but either way…it was gone. 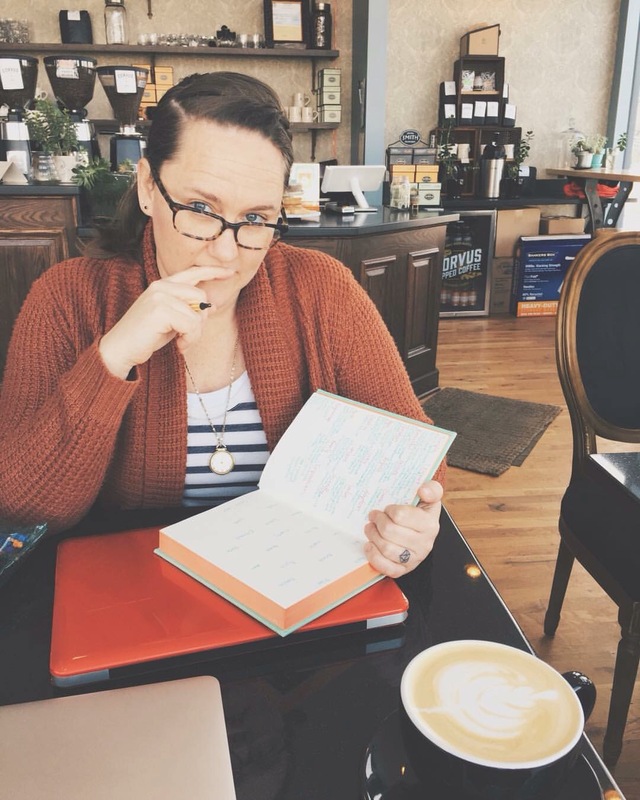 It started with wanting to write and just not being able to put words to things, and then it felt like I’d been away so long that to share was awkward, and then finally it transitioned into a complacent acceptance of the silence. A friend casually encouraged me to write again while having a passionate discussion about french-fries. I didn’t think much of it at the time, but with his words the voice had stirred inside of me. I’ve been thinking about you all a lot since then; what you’d like to read and what I’d like to share. Then the voice started telling stories again, stories about how terrifying grocery stores are, and what it’s like renovating my home with my dad, and French fries! But the first story is a special one; it’s all about my birthday. It’s the epic tale of a girl who spent her life fighting for her December birthday to be something special…and how it is now one of the most important and special days in her story. Coming at you next Thursday…my birthday! When Ian got home we rushed to the hospital and made it there before she was even in her room. We went to a waiting area and I can not even describe the emotions and fear and anxiety flowing through me…and then I saw them…I won’t ever forget that moment. We were sitting in a waiting area…trying to decide just how long to wait before checking the room again to see if they were there…and then I saw a stretcher start to come down the other end of the hall followed by a baby in one of those weird plastic cribs they put babies in at the hospitals. As they got closer I saw it was birth mom. I stood up, exchanged a few words with her to see how she was and tell her we’d be to the room soon…and then I saw him. The first moment I saw him the desire to run over to him and touch him, to sweep him into my arms and kiss his face was so incredibly intense…but it was tempered by uncertainty and a desire to respect this young woman…so instead I watched him pass by with out touching him, sat back down, and waited until it was appropriate to join them in the room. The entire time I felt like my whole being…not just my heart…was just going to explode out of me. When we finally got to the room there were other people there…a friend of hers and some teachers that had supported her through her pregnancy…I felt so awkward. But, they immediately greeted us at the parents and were so excited both for her and us and over this little baby boy. I spent that evening in awe of this young woman as she gushed over her little boy, telling him how beautiful and perfect he was, how much she loved him…and then asking us what we wanted to name him, telling us she’d already signed all the paperwork so we could stay at the hospital with him, asking us what we wanted on some medical decisions that needed to be made…I found myself in awe of how selflessly she was loving this little boy. When we told her the name we liked, everyone in the room agreed…it was a good strong name, and it was perfect…baby boy became Ezra Dante. I don’t know how to put the hospital experience into words really. I think I experienced a full range of human emotion during that time. The moment I held him I felt peace and wholeness…he fit and my arms didn’t ever want to let him go, it was like my arms missed him the minute he left them…the moments I had to leave him to spend time with birth mom my heart wanted to spin out of control into fear and anxiety…the first time a nurse left him with Ian and I and walked out of the room I found myself wondering if I really could do this…then I’d walk by the nurses station to ask a question and they’d refer to me as Ezra’s mom, or us as the adoptive parents and the joy would bubble up in my heart…but when the nurse came in and told me we would be going home in 2 hours I have to admit I got hit with a wave of overwhelming everything…fear birth mom would change her mind, anxiety that I didn’t know what to do, excitement and joy because soon I would be walking out of that hospital with my baby boy and taking him home! It’s been a month and a half since we stood out front of that hospital and said goodbye to Ezra’s birth mom…crazy how something can feel like it just happened, but also feel so long ago…there were hugs and words of gratitude and so many tears. Then we put him in the car and brought him home for the first time ever. There are still so many emotions…it’ll be 6 months before the adoption is finalized and he has our last name…which means that I find myself hit by waves of fear, anxiety, and doubt daily. But our hearts decided not to wait 6 months…we have completely fallen in love with this little guy…the newest Dizon! There is so much more to the story…because so much of it hasn’t even been lived out yet…but this is where we end for now…Ezra in our home and in our hearts. I don’t remember much of the conversation that followed…I remember asking some basic questions about her. She was young, very far along in her pregnancy…we were told 8 months at the time…and she was in need of a family for the baby she had decided to give up for adoption months before. There is more to be told of course, more layers to the story, more to why us and why then…but to go into those things is to wade into the waters of someone else’s story…and not for me to tell. As I heard the words “would you be interested in adopting her baby,” something happened in my heart, it was like a jolt of energy pulsed right through it…and I knew…I knew the answer was yes. Ian and I left the conversation and I did the only thing I could think to do…I ran to find my best friend. I found her husband instead, “What do you need her for?” he asked “EMOTIONAL SUPPORT!” I said as I ran off to call her. I don’t remember much of our conversation over the phone…except there were both tears and laughter…and sooooo much excitement…as she reminded me she had predicted this was how Dizon #2 would come to us one day…and encouragement that I could do this, that Ian and I could do this, and that we wouldn’t be doing it alone. The next several days are a blur. We got in touch with the adoption agency we used with Andrew. They reassured us that 8 months pregnant meant we would have to work fast, but that it was possible to get us certified in time and they would work with us to make it happen…then when we found out she was actually due in just a few days, we all scrambled to get background checks done and paperwork in to make it the impossible happen. Ian and I started to pick out car seats, bottles, diapers, and to communicate to the people in our lives that NEEDED to know that a big change could be coming…all while not yet having met Ezra’s birth mom or even really knowing if this was for real. I was riding an emotional roller coaster of uncertainty and excitement. Maternal instincts were kicking in and I wanted to prepare for my child…but was this my child…it was happening so fast I needed to prepare for this child…but if it wasn’t my child wouldn’t it just hurt too bad if I began preparing and dreaming and hoping…if I didn’t prepare and it was my child how would we get home from the hospital, or change diapers, or feed…basically my mind and emotions were everywhere. Saturday…one week after the conversation that changed my life…we met birth mom. We left the meeting reassured that this truly was what she wanted for her child, and completely impressed by how selflessly she loved the baby growing inside of her. It seemed that a baby was coming our way soon…so we ordered a car seat, bought some diapers, grabbed some basic things from my cousin, cleaned the house, and did all the laundry…we did everything we could think of and manage to do as quickly as we could do it to prepare for what may happen…at this point it’s worth noting that we had all decided that baby was a girl and dreams of pink and sweet dresses were part of the preparation. Then Sunday we got a phone call…he was here! …to be continued…again…I know, it’s just cruel…but the next part is already written this time…I’ll post next Tuesday. It has been a shamefully long time since I wrote anything for you all, and I’d love to have some sort of elaborate and wonderful excuse…but the truth is, life got really hard…and sharing that with all of you seemed impossible…so I stopped writing. This time last year I was sitting in expectation of 2017. It seemed that every where I went, and every thing I read, and everything I listened to, HOPE was being repeated to me over and over and over. So I began 2017 in anticipation of this year of HOPE, eager to see all the Lord would do to show me this beautiful hope. And then 2017 began, and I discovered that I was to spend the year learning how to hope…and that it was quite a painful process…at least for me. In this past year I have experienced some of the deepest most personal pains of my life, and they brought with them grief, shame, anger, confusion. So instead of feeling like a year of HOPE, it felt like a year of sorrow, failure, and isolation. I can’t share many of these stories here…because while the pain of the situation left a mark on my heart, they aren’t my stories to tell…but the one pain I can share is where the story of our newest son begins. Early in 2017 Ian & I discovered I was pregnant…because I was having a miscarriage. For days I had felt different, in the back of my mind I though maybe just maybe…but it was too soon for a test, so I waited. I won’t ever forget the moment I knew something was wrong, or hearing the doctor share news that should have been so happy…except it was followed by something so sad. I can’t describe the confusion in my heart, of wanting to rejoice over the news and love the life inside of me, but instead being smacked in the face with that life being gone and my heart being filled with grief. It took me months to process this grief, to truly work though it with the Lord. To get to a place where I could surrender my anger, confusion, and hurt, and decide to hope again. It took me about 8 months actually. One day Ian and I were talking, about how if things had gone differently, we would be welcoming a new little Dizon into the world in just weeks. That night I sat down with a heavy heart and wrote a letter to the Lord. I poured it all out…the anger, hurt, sorrow. Much like HOPE as I entered 2017, I had begun seeing JOY everywhere I went…and it made me so mad. Because if a year of JOY was anything like a year of HOPE…I wanted nothing to do with it. But, at the end of all my pouring out of emotion, I came to a place of peace, of trust, and a desire to walk in whatever it was the Lord has for my family and me. I didn’t understand the pain that came my way in 2017. I don’t know why He allowed it. But in the end I found peace, I found a calm in the faithfulness of his promises. I left that moment changed. The pain wasn’t gone, but it was not tinged with bitterness and anger any more. Even friend’s commented in the days that followed that I seemed different. Guess what….I love jewelry…most of you are not surprised…But, really I do. Not because I make it, and not because I grew up and realized how pretty it was, but for my whole entirety of my life I have loved jewelry. Over the last couple of months I have been really analyzing why I love jewelry, why I enjoy making it and collecting it, and wearing it. I don’t care really how expensive it is, or how fancy…at least not most of the time…because what I love about jewelry is it’s ability to evoke emotions, remind us of people, and stir up forgotten memories…it’s the stories jewelry tells. For the next couple of weeks I wanted to share with all of you some of the stories behind my favorite pieces. Some remind me of people, some evoke a memory of a place or a moment, then some I bought with the specific intent or purpose of reminding me of a season of my life, a truth of God that I was struggling with, or a pain that I was walking through. Up first is the very first of my Ebenezer stones…the Sun Ring. At 23 I made the decision to not simply trust God with my soul, but with my whole life…. specifically I told Him that if He opened doors I would spend the rest of my life trusting Him and walking through them…the thing was, I was a drunk who found my worth in the way others valued me. This meant I was daily fighting a war between living out what I knew to be true and good…God loved me, had purpose for my lie, had good plans for me, and I was so incredibly valuable, precious even…and what I felt…alone, insignificant, incredibly insecure, purposeless. I would decide each day to live trusting the truth, I would tell myself these truths…and then, each day I would fail to trust, slide back into believing lies, and then wake up disappointed, discouraged, and condemned. So, I decided on a trip to Mexico that what I needed was something physical to remind me of the spiritual decision I had made. It needed to be something I would see and something I would feel. I remember the moment I saw it, the moment I slipped it on my finger and then held my hand out to examine it. It was massive on my finger…it spans my entire first knuckle…It was big, and heavy, and it had a sun on it…a reminder that I had chosen to live a life that honors the Son…I would feel it, I would notice if it wasn’t there, I would smack it on things during the day and be reminded of my decision, of my desire…it was PERFECT! For years I wore that ring, and it serve it’s purpose. At work I would be frustrated and angry and I’d walk quickly past a wall, smack my hand on the brick…I’m a little clumbsy…and remember to choose love, to choose patience. Sometimes It would pinch my fingers at just the right moment, and when I wasn’t wearing it I felt like I was missing something. It’s presence constantly drew me back to remembering, it kept my mind on choosing love, choosing joy, choosing to trust…choosing to live like Jesus. I no longer wear it every day, but those days when I do pick it up and slip it on, I find myself reminded, not just of that moment, or of what it means…but of how I’ve grown, how I’ve changed. I am not the person I was when I bought it…drunk, depressed, alone, scared…love has changed me. The sun ring no longer reminds me to choose love in the same way it did…before it was kind of a warning, like a silent siren that would go off and remind me I was getting off course…Now it’s a much more gentle reminder…like a soft touch on my shoulder…encouraging me to remember the beautiful change that comes from choosing love. Last week was a hard one for me! I came up against something I wasn’t prepared for, a sudden grief that caught me by surprise and affected me in ways I wasn’t really prepared for. As I sat in Good Friday service feeling the pain of my own grief, my heart began to understand in new and deeper ways the good in Good Friday, I began to learn a lesson about hope. What sadness the disciples must have felt, what overwhelming grief Mary had to have experienced as she watched her son upon that cross. But we call it good, because that is what came of it, the goodest good…there ever was…but that Friday…I am confident…it did not feel good. How awful that Saturday must have been. How painful. How confusing. To think of Mary, who KNEW Jesus was the Messiah. More than anyone else she knew He was the one. Not because of His miracles, not because of His teachings, but because she had been told by an ANGEL. She had carried him in her womb…yet had done nothing to conceive Him. She raised several children, so she knew how sinful they are…but she watched Him grow up sinless. She knew He was the promised one, she had received a promise, lived it out, seen in so many ways how He was so different…but He had died, she had buried Him. WHAT? That wasn’t supposed to happen! This wasn’t the way it was suppose to go! This was not what she was promised! Had God finally given up on them? Had His patience run out? Had His love for His people dried up? Maybe that’s not what Mary was thinking, but I’m pretty sure it’s what I would have thought. Honestly, those are the kind of thoughts trying to overwhelm my mind right now. The thoughts that creep in when pain runs deep, when promises seem to be broken, and when what’s happened just doesn’t make sense…when you’re stuck on Saturday. That’s where I am right now…stuck on Saturday. I’m in this place of grief, of pain…of sadness…and my mind is fighting the battle to keep from getting lost in the whys and my heart simply feels too weak to hope. But…oh how I love when there’s a but…on Sunday the world changed! That glorious Sunday death was conquered, the table was turned on the fate of the souls of men, and hope burst forth victorious. Saturday was a day that felt so hopeless…but that was not the truth. In fact, the world was pregnant with hope that Saturday. And it wasn’t because the disciples or Mary or anyone else had this great abundance of hope…it says they all left and just went back to life…but in spite of their lack of hope, hope broke through! All I need is a tiny bit of courage and He will strengthen my heart! Hope is not something I need to feel or conjure up. It lives in my heart and remains even when I don’t have the strength to grab hold of it. I may be stuck on Saturday right now…living in the place between sorrow and joy…but I know true Hope, Hope that does not disappoint, Hope that is more faithful than the morning and in Him my heart takes comfort and finds peace. Mary didn’t get stuck on Saturday…and neither will I.